1. 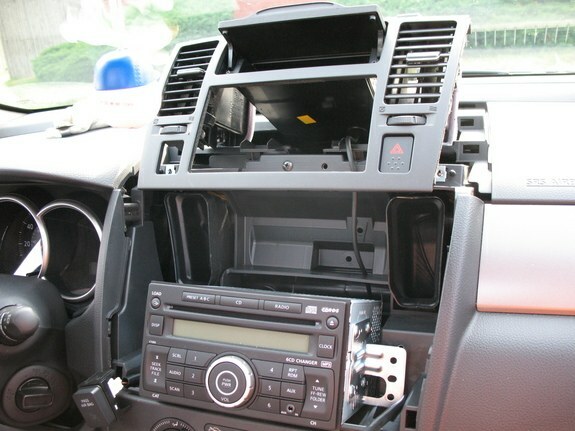 Disconnect the main harness and N-Bus connectors from the head unit. 2. 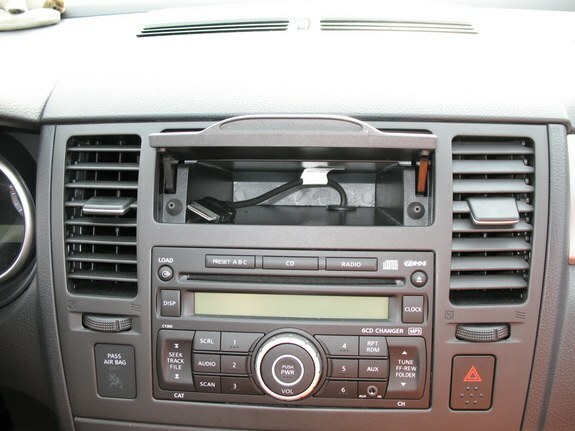 Attach connectors of iPod gateway harness (999U7-VT000) to the head unit and main harness. 3. Route other end of the iPod gateway harness toward the iPod gateway module mounting location. 4. 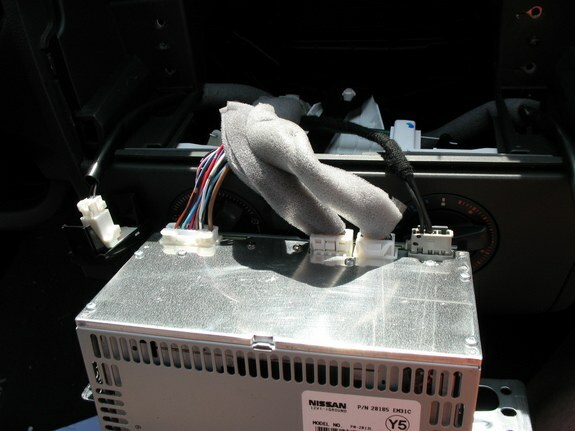 Attach the connector for the satellite radio harness (999U7-VT001) to the disconnected N-Bus behind the head unit. Wrap one piece of foam tape around the connectors. 5. 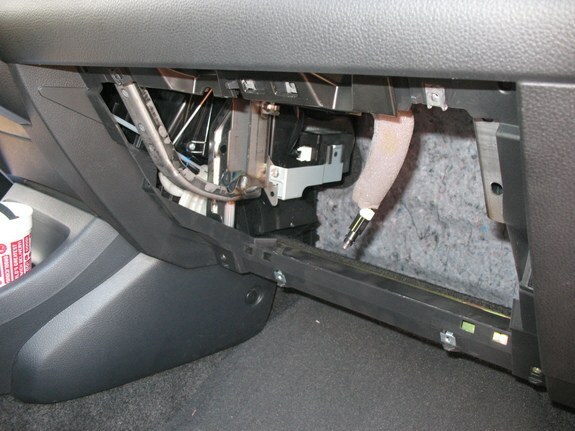 Route harnesses into and along the side of the glove box cavity. 6. 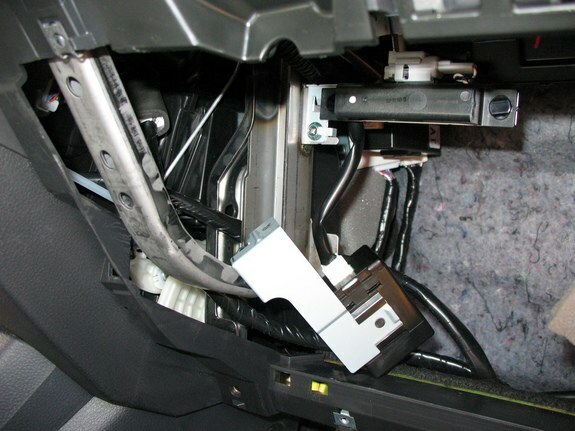 Loosely secure the harnesses to the existing harnesses with the small cable ties. They will be cinched tight later after routing the iPod cable. 8. 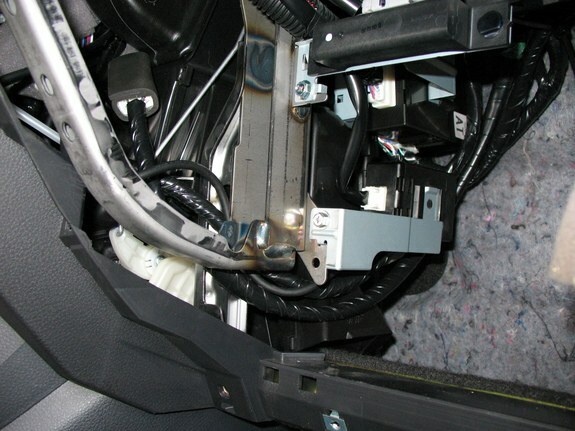 Take the ground wire taped off to the N-Bus harness and route up to the screw. I picked the screw that is holding the hanging piece in the picture above. 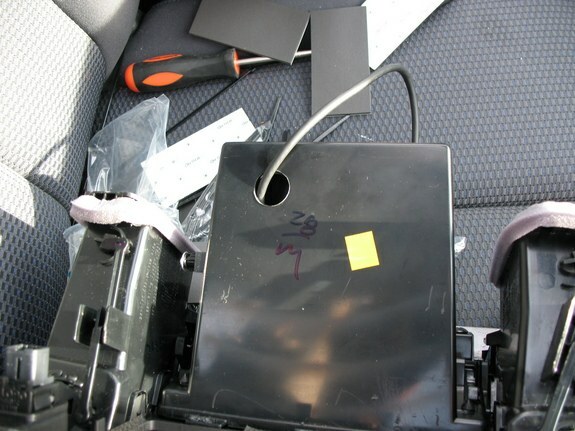 9.Using phillips screwdriver, remove screw, attach eyelet connector and tighten screw (ground wire not shown here – this was taken before I figured out where I was going to put it). 1. Drill a 1/8” pilot hold roughly 20mm from the rear and left edges (assuming you’re looking at the bottom.See picture. 3. 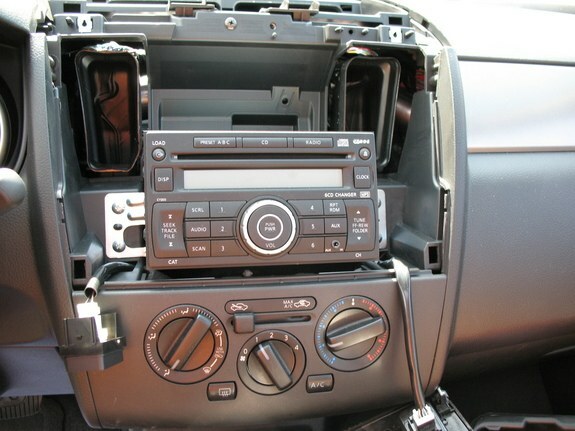 Start routing iPod cable from inside of compartment with DIN connector end (barrel shaped) down the hole behind the head unit (See picture in step 9 of harness wiring). 4. Place the split grommet over the wire and insert into the drilled hole. 5. Route iPod cable to the module mounting location along same path as previously routed harnesses and though the loosely attached cable ties. 1. 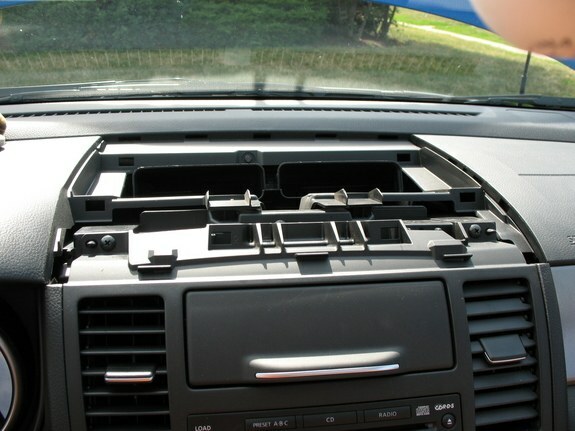 Using the provided alcohol wipe, clean the bottom of the module and mounting location. 2. Attach the provided double-sided tape to bottom of module. 3. 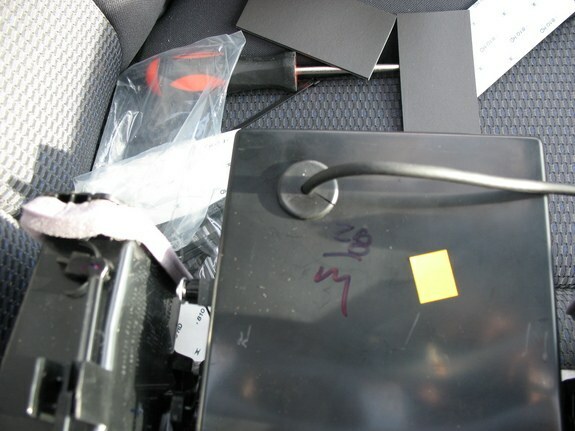 Remove the tape liner.Attach module to the back of the “AT” module. 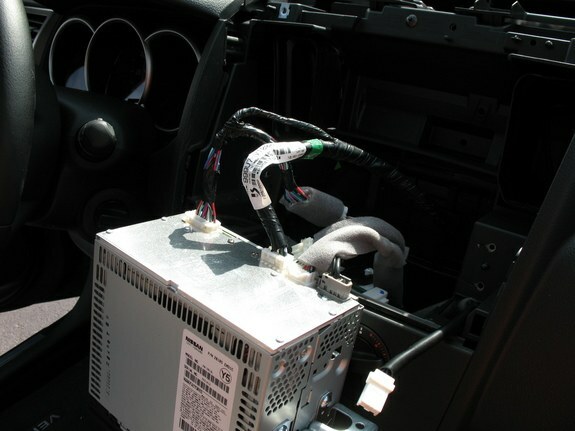 (See picture in step 9 of harness wiring). 4. Apply equal pressure to the module for at least 20 seconds. Let the module sit for 5 minutes to ensure good adhesion before applying any pressure. 5. Connect harness/cable to the iPod module. 6. Cinch all cable ties tightly and reassemble.